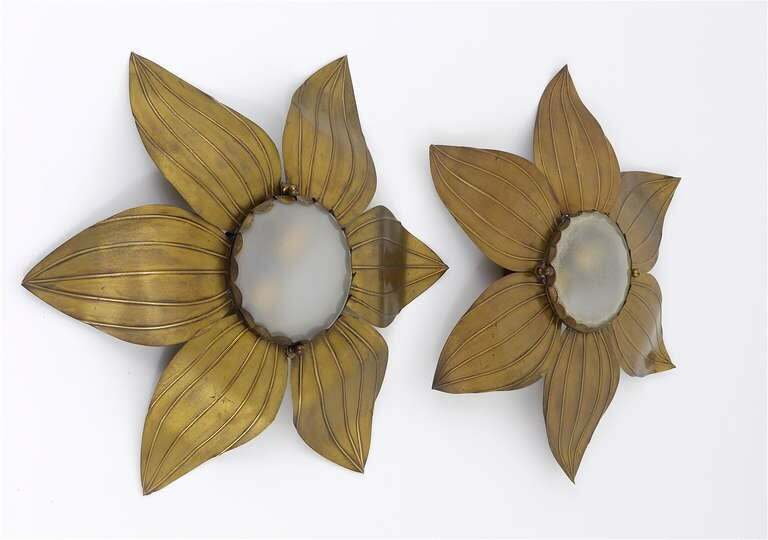 A pair of exceptional French modernist flower sconces from the 1950s. 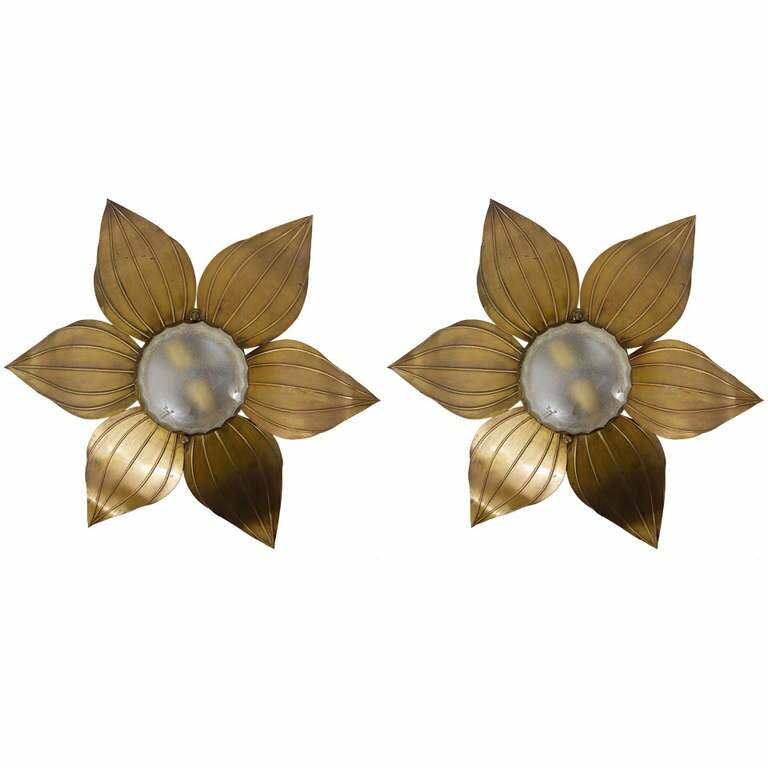 Made of brass with a satined round center glass. Very simple but beautiful. 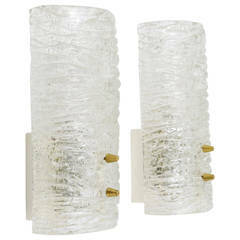 Each sconce has two sockets. Rewired. In good condition with nice patina on the brass. Making a wonderful soft light. Diameter 18 inch. 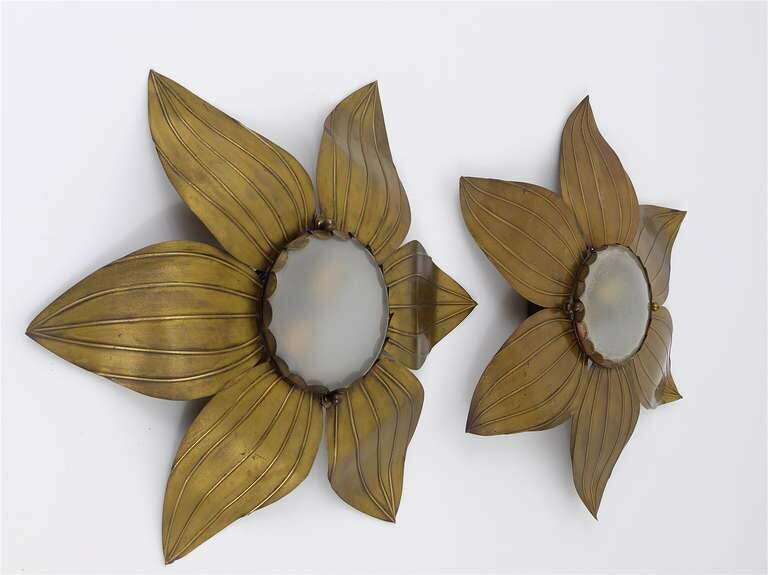 Lovely pair of metal leaf leaves electric wall light sconces. In the Brutalist style. 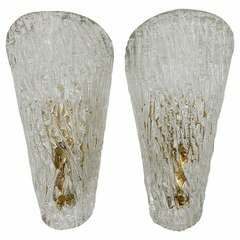 Hold one halogen bulb each sconce. Does not include middle starburst, that is listed separately. 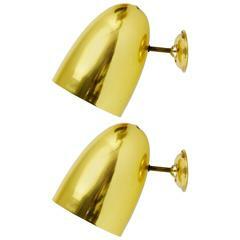 Pair of 1950s-1970s brass leaf sconces. 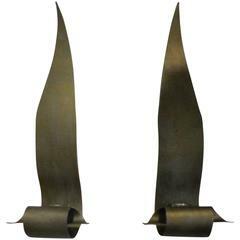 Pair of French 1950s wall sconces with a copper hammered ½ round shade above a small glass strip with an ashwood base. Black enameled metal wire leaf-shaped wall mount frame with bulbous satin milk glass shade. In original condition with original hardware and twisted wire, new plug. 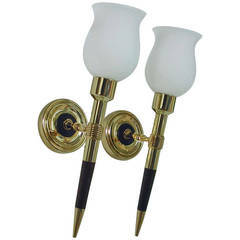 Pair of Murano gold leaves big sconces, brass fittings eight bulbs per sconce.